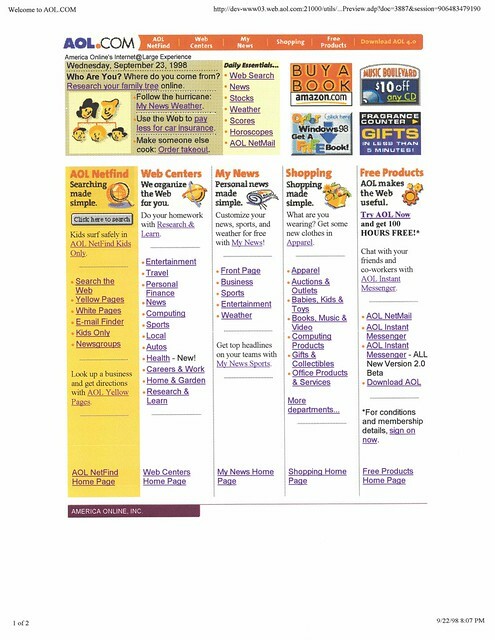 September 23, 1998: Online genealogy, like most things online, was still pretty new in 1998. (For example, Ancestry.com launched in 1996; prior to that, they sold genealogy info on floppy discs and later CD-ROM.) We led with a pretty existential take on family tree research: "Who Are You? Where do you come from?" Then, Sammy Sosa hit his 64th and 65th home runs. 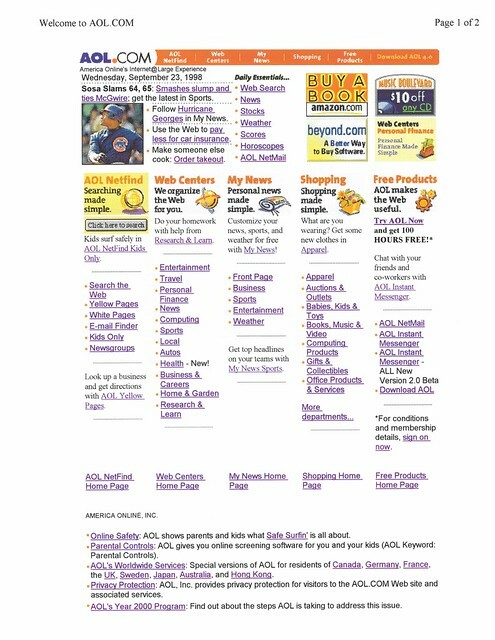 He was considerate enough to do it during an afternoon game in Chicago, which meant that we could get an update in during business hours of the same day, instead of waiting until Thursday (the AOL newsroom was staffed for on-call coverage, but coverage for the AOL.com home page was basically just me).